Irvin Park, located in Curwensville, Pennsylvania is a preferred recreational area for many locals and tourists alike that offers a large river for fishing, a basketball court, grandstand, playground equipment, picnic areas, and hosts a range of events throughout the year. 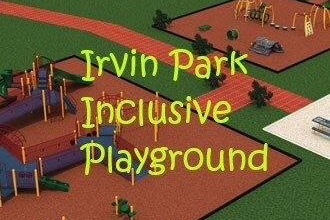 With the help of the fundraising efforts lead by the Curwensville Borough, Irvin Park will become more accessible for all with the addition of new inclusive playground equipment. Curwensville Borough is thrilled to be partnering with friends and neighbors to make the playground at Irvin Park a fun place for all children. The addition of inclusive playground equipment will benefit children of all levels and physical abilities. For children who have mobility or other challenges, a handi-cap accessible playground allows them to play too. Something as simple as accessible surfacing can make playground equipment navigable for wheelchairs and the people who use them. For other children who don't have these challenges, playground equipment for disabled children can also offer great benefits. Connecting with children of different backgrounds and abilities encourages empathy, as well as social and emotional skills that will benefit children throughout their entire lives. Children who can cooperate and play with children of all ability levels and all backgrounds will be more prepared for a diverse world and workplace as adults. Adults who have mobility issues can benefit from wheelchair-accessible playgrounds because these playgrounds allow them to go to the park with their child and spend time together. The starting goal for this project is $5,000. 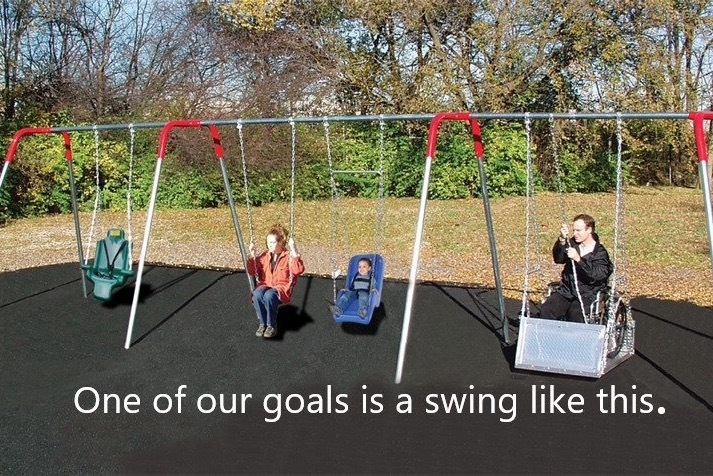 The donations will be used to obtain new equipment, including a swing that is wheelchair accessible. Please join the Borough in making this much needed addition to Irvin Park a reality! Any donation to this wonderful cause would be greatly appreciated!